During the summer, you may have noticed that the National Weather Service issues a variety of watches, warnings and advisories in order to protect the public from various heat related illnesses…including heat cramps, exhaustion and stroke. However, based on client feedback, sometimes the general public is left in the dark as to what the exact criteria is for these alerts to be issued. For instance, have you ever noticed that your specific county or location may be under an “excessive heat warning” for a certain day when a community very nearby or in the same geographic region is only under a “heat advisory” or in some cases nothing at all? In certain instances the reason for this can be explained by differing criteria used to evaluate similar regions based on specific National Weather Service office procedures. 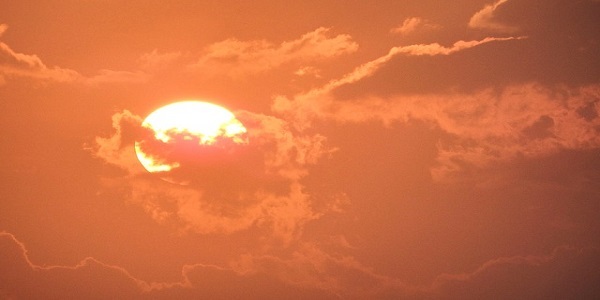 In most cases, the National Weather Service (NWS) designates areas or counties to be under one of three basic alerts when extreme heat is forecast: Heat Advisory, Excessive Heat Watch, or an Excessive Heat Warning. 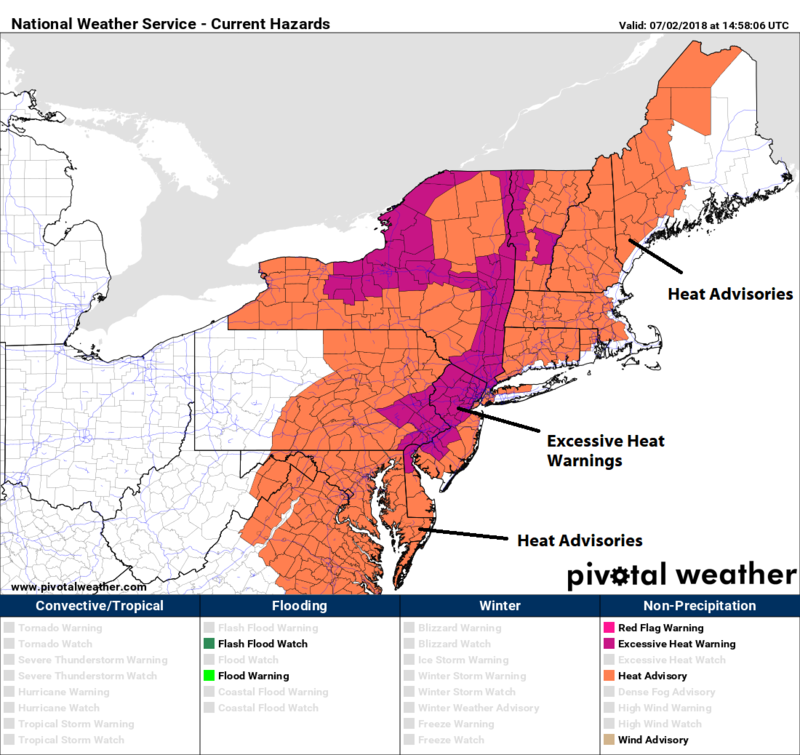 The criteria for Heat Advisories and Excessive Heat Warnings for the entire Northeast Corridor are depicted in the graphics below. Also note that an Excessive Heat Watch has the same criteria as an Excessive Heat Warning and differs only in timing (more than 24 – 48 hours removed from the start of an event) or confidence (sometimes a low confidence “heat watch” will be converted to a “heat advisory” during the day of the event if “warning” criteria is not likely to be met). This is similar to other NWS procedures for issuing watches and warnings…such as in the case for severe thunderstorms, tornadoes, or flooding. Specifically speaking, a heat advisory is typically issued north or the Mason-Dixon line (including most of NJ, PA, NY) when the heat index (combination of the temperature and dew point) combines to make it feel like it is 100 – 104 degrees or higher for 2 consecutive hours in one day. Further north and east into New England, these values were recently lowered in 2017 to 95 - 99 degrees for 2 consecutive days, or if they reach 100-104 degrees for any duration of time. This was done following further research on emergency department visits and deaths related to heat in the area. Further south, the heat index needs to be a bit higher in order for a Heat Advisory to be issued. These are typically issued on the same day the heat is expected to impact the area. An excessive heat warning for most of the Northeast when the heat index is expected to be at least 105 degrees (and overnight lows don't go below 75). 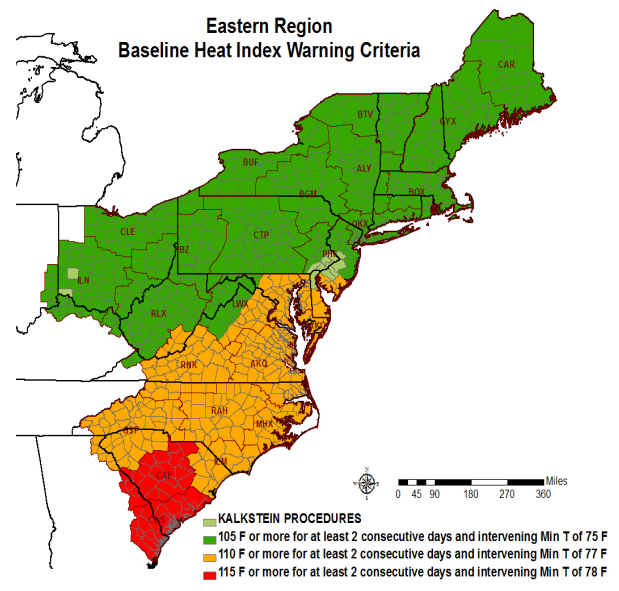 The criteria is slightly higher for areas south of the Mason-Dixon line…with heat indices of 110 or more needed to issue an Excessive Heat Warning. Note that parts of Southern NJ, including Salem, Cumberland, Atlantic and Cape May counties fall in into this category and therefore have a stricter threshold than the rest of the state. This might explain why in some instances heat advisories / warnings are not issued for these counties, when all other parts of the state are designated as either under at Heat Advisory or Heat Excessive Warning. A perfect example of this can be demonstrated by the current hazards for Monday, July 2nd in 2018 (below). This is a pretty typical hazards map you will see when widespread heat and humidity invade the Northeast and mid-Atlantic in the summer months. Notice how Excessive Heat Warnings (in purple) don't extend into counties in the far south of NJ, nor do they head into the mid-Atlantic. That being said, why are certain counties in and around the Philadelphia Metro Area under an Excessive Heat Warning, even though similar conditions are expected to the north and south of them? In order to explain this, we must take into account the impacts of an urban environment in addition to the expected heat index. Note that in a previous image that shows advisory / warning criteria for the area that several counties in and around the city of Philadelphia are designed to follow the “Kalkstein procedures.” What exactly are these, how did they get this name and why are they different from the criteria described above? Simply put, research has shown that lower levels of heat and humidity (even below advisory level) can cause devastating effects in more urbanized parts of the country due to the presence of excess blacktop and population over-crowding. Beginning in 1997, the National Weather Service office in Philadelphia (which is responsible for weather forecasts throughout most of NJ, SE PA and Delaware) partnered with researcher Dr. Laurence Kalkstein of the University of Miami to create special criteria for issuing heat alerts for these regions. Locations subject to these criteria include Philadelphia, Bucks, Montgomery, and Delaware counties in PA as well as Burlington, Camden and Gloucester counties in NJ. 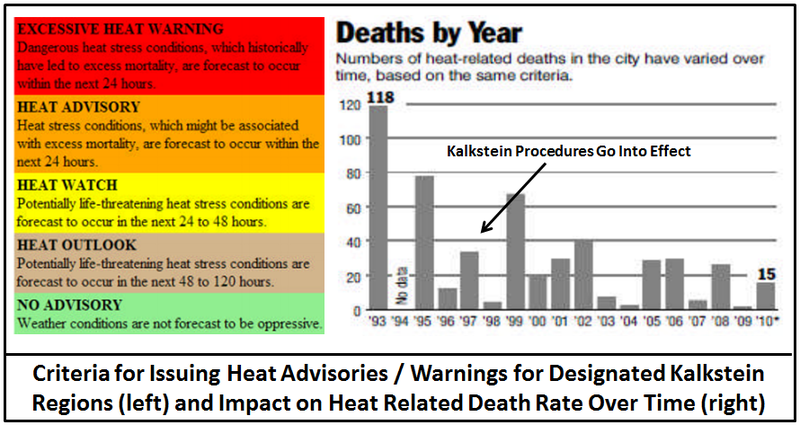 Aside from traditional heat index values, which are typically used to determine advisory / warning criteria, these counties are subject to less stringent definitions based on its “Heat Health Watch / Warning System,” developed in partnership between the NWS and Dr. Kalkstein. Some general criteria for the use of this system are outline in the chart below. Not only is this a one-of-a-kind implementation, but it is also the nation’s premier excessive heat program. Since it began in 1997, it has shown remarkable skill in reducing the amount of heat related fatalities across the general region (also depicted in the graphic below). Because of its success, this program is currently being considered for expansion into other urbanized areas across the Northeast, including the Baltimore, New York City, and Boston Metro Areas.